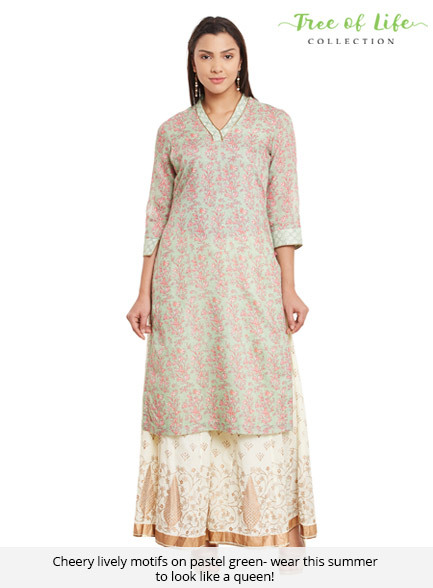 Summer can be fanciful with pastels. 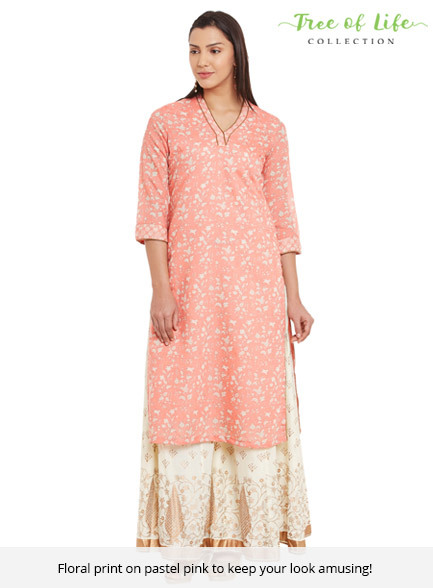 This smart kurta featuring band collar is one must-have style. 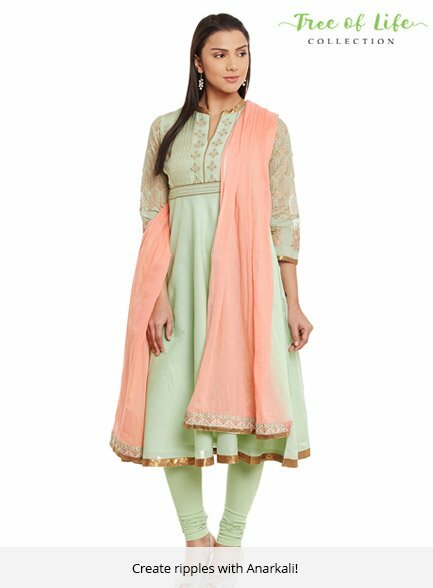 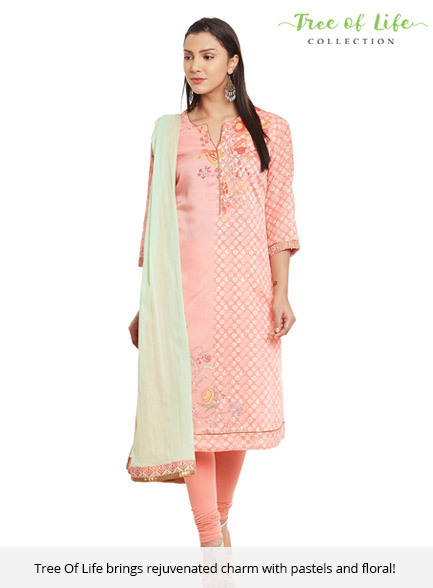 Wear it with contrast palazzos and dupatta for a remarkable look. 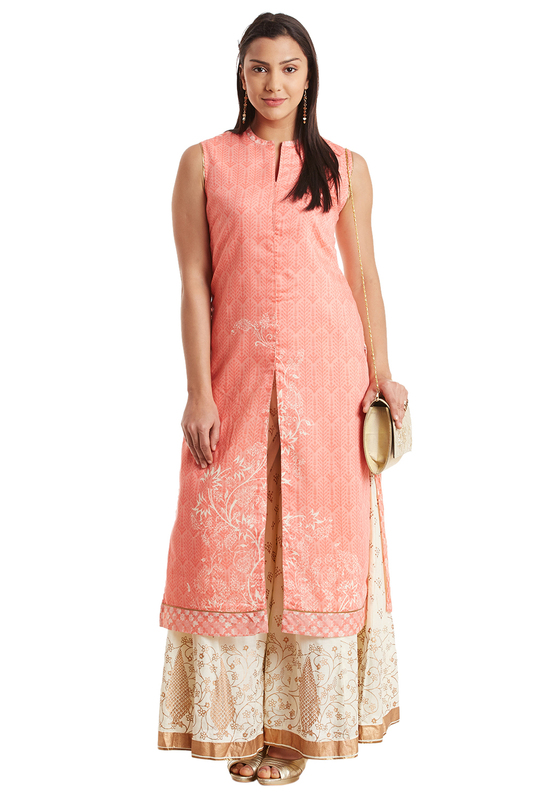 It can be stylised with golden accessories for added charm.